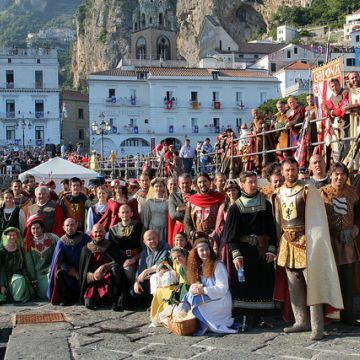 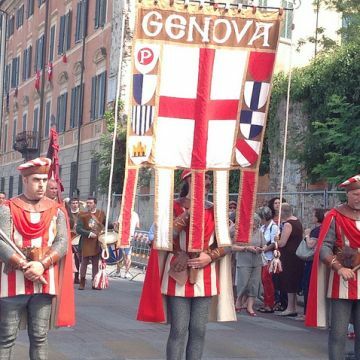 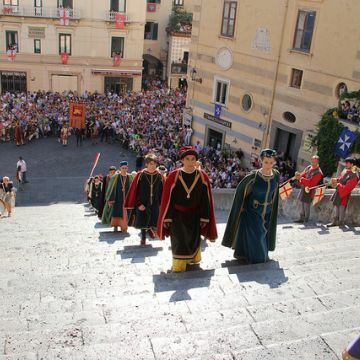 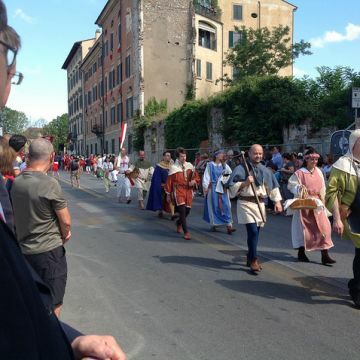 The Medieval Pageant of Genoa re-enacts a historical event from the year 1101: the triumphant return of the Genoese condottiere Guglielmo Embriaco (known as "Testadimaglio"), who brought the "Sacro Catino", or holy vessel, from the Holy Land to the city. 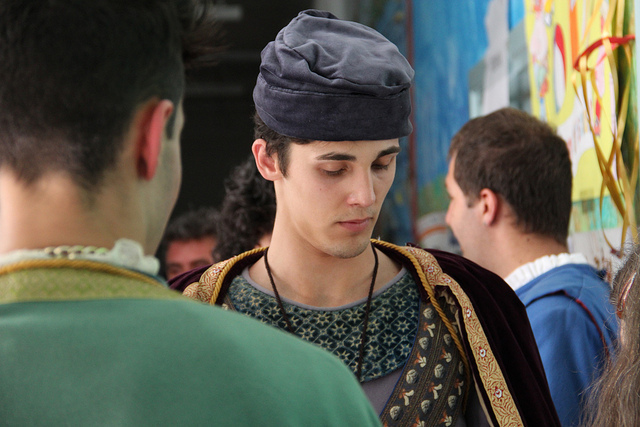 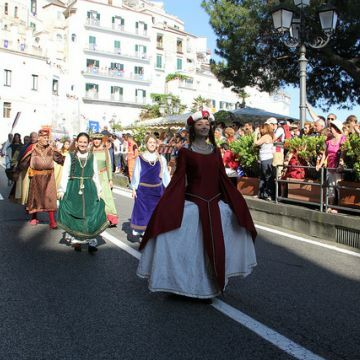 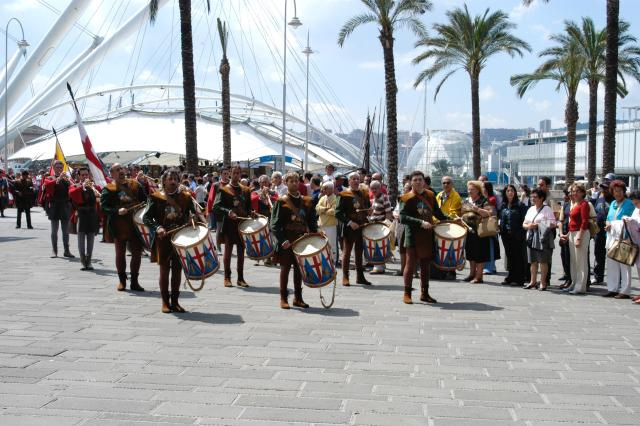 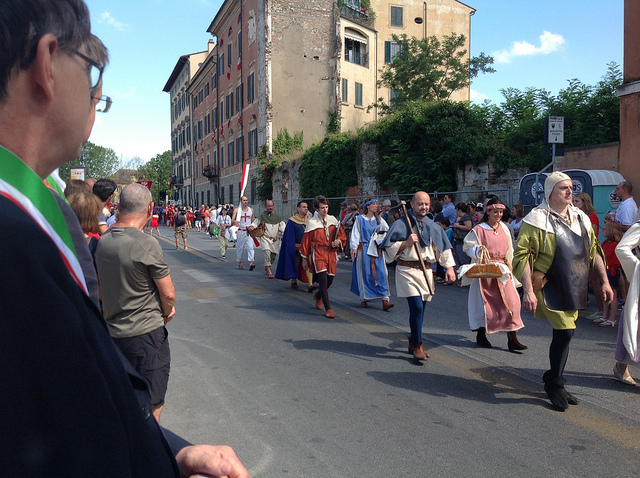 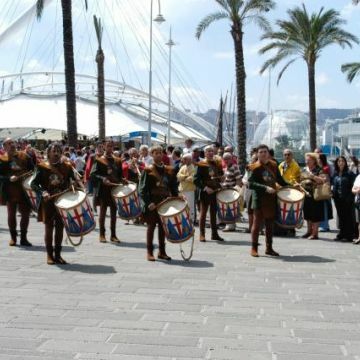 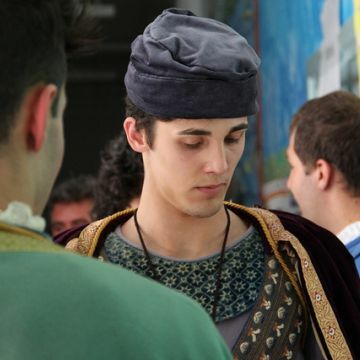 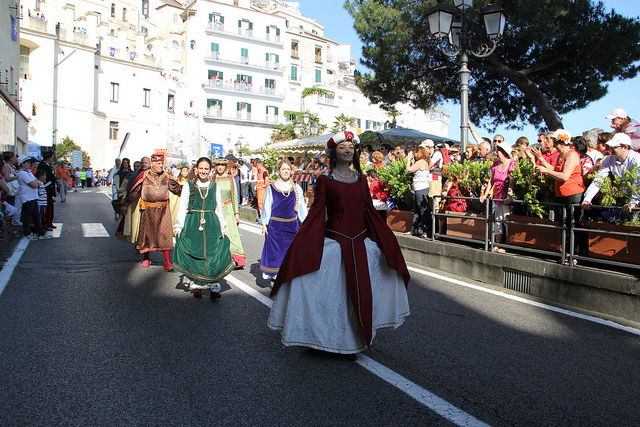 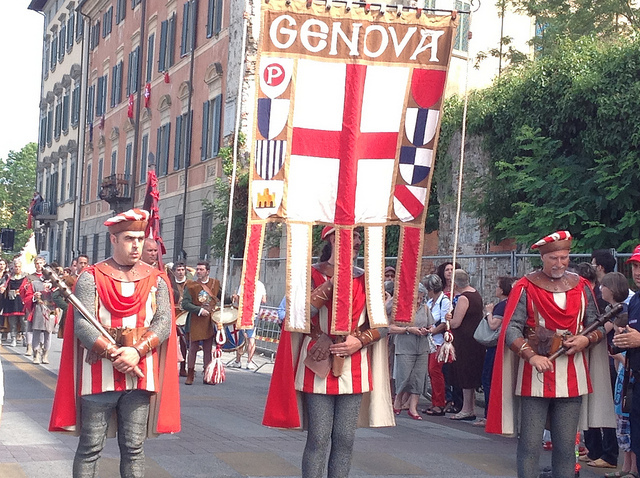 As such, the event represented by the Pageant is evocative of an especially significant moment in Genoa’s history. 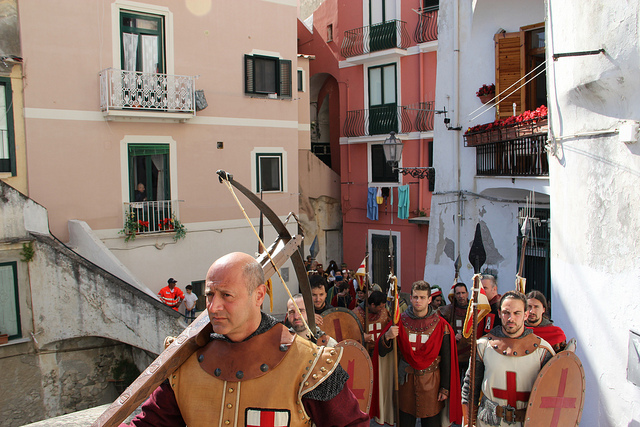 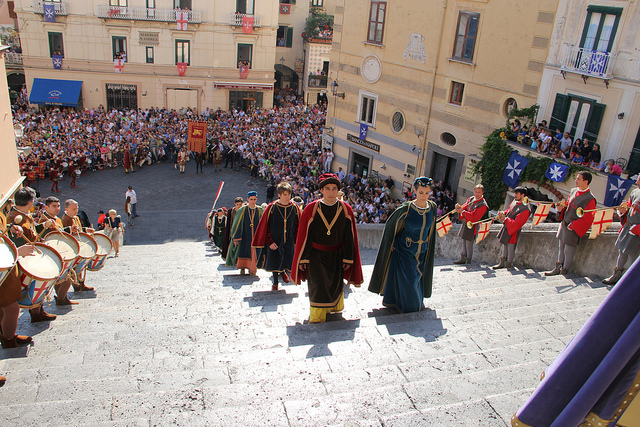 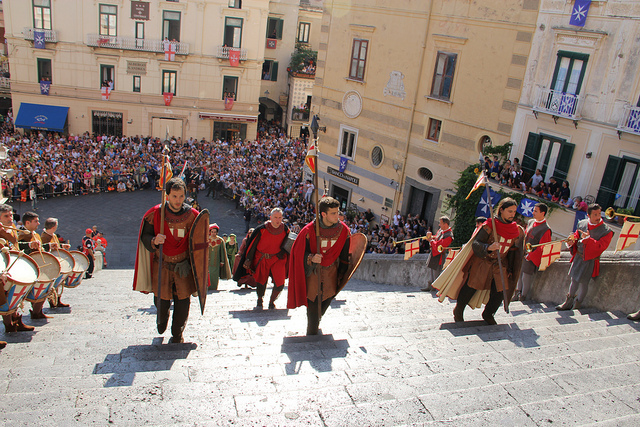 During the Pageant, Embriaco is preceded by the banner of the city, featuring the crests of the eight ancient Genoese "Compagne", the neighbourhoods into which the medieval city was divided (Borgo, Castello, Maccagnana, Piazzalunga, Porta, Portanuova, San Lorenzo and Soziglia); by standards and emblems of the city and of St. George; by a fanfare with no fewer than 12 musicians; by standard-bearers and captains sporting the ensigns of their family lineages (De Fornari, De Marini, De Nigro, Fregoso, Grimaldi, and Pallavicini); by a page carrying the "Sacro Catino", by another carrying a sword, and lastly, by the standard-bearer of the Embriaco, holding aloft the banner of the family. 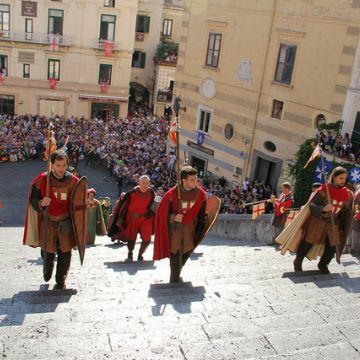 Following behind Embriaco is Caffaro di Rustico, the Lord of Caschifellone, author of the famous "Annales" (in which he chronicled the history of the city between 1099 and 1163) and thus considered the founding father of Genoa's historical records. 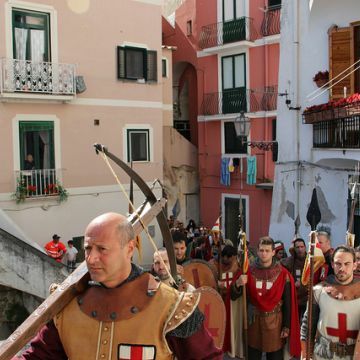 The next to appear are soldiers armed with crossbows, swords and spears, followed by a delegation of illustrious figures from the city dressed in fine clothes, as a testimony to the city's close trading links with the markets of Asia Minor and Pontus. 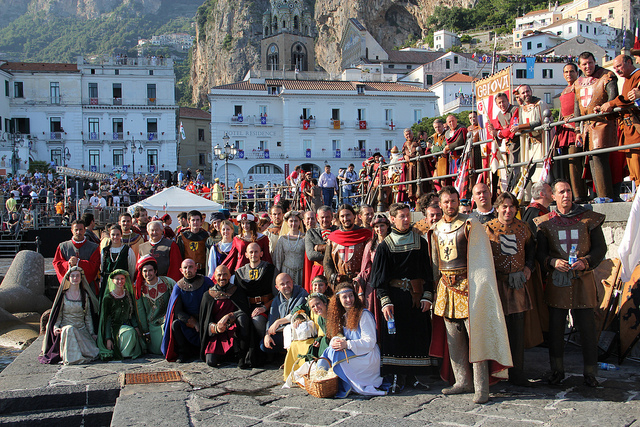 Last of all comes the cheering public, made up of women, monks, farmers, fishermen and sailors.